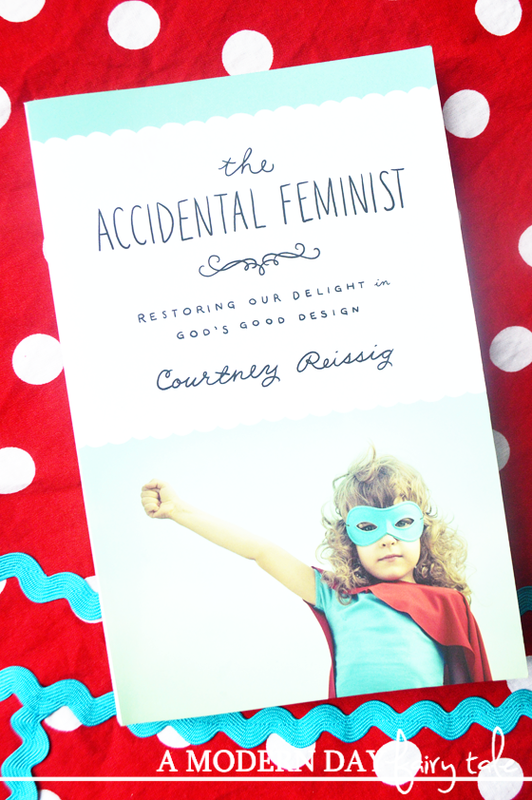 The Accidental Feminist...If anyone who knew me saw this title on my bookshelf, they'd likely faint from the shock. Me? Reading a book about feminism? I must be ill! I have said time and time again that feminists hate me. You see, throughout high school I was all about the academics. I was among the top of my class- a straight A student, member of the National Honor Society and even on the academic team. As my high school graduation grew nearer, everyone assumed that I would continue on into college, get a degree and go onto a great career. After all, that's what we're supposed to do, right? So I applied for college, was accepted and planned to attend. But something just didn't feel right. It didn't feel like this was where I was meant to be. In the end, I made the decision to follow that instinct. Soon after, I married and started my little family. It wasn't that I had no other options. I did. It wasn't that I felt that a woman HAD to forgo an education or a fancy career for family. I didn't. It was simply that I felt that this was the life that God had intended for me personally. This was my calling. This is where I was meant to be. But in a world where success is measured on your education, career and paycheck...that's a pretty radical idea. The idea that a woman could choose to forgo it all to live the life of a stay at home mom and wife. The idea that a woman could truly be fulfilled in those roles. After all, isn't that what the whole feminist movement was all about? To keep us from being stuck as a housewife? To give us options? So, what if my choice was to be a wife and mom? To adhere to those traditional roles in the marriage? To truly be fulfilled in this life? Like I said, feminists pretty much hate me. So, why would I read a book called The Accidental Feminist!? Many Christian women wouldn't identify themselves as "feminists." However, according to Courtney Reissig, we've all been influenced by the feminist movement in profound ways, unconsciously reflecting our culture's notions about what it means to be a woman. 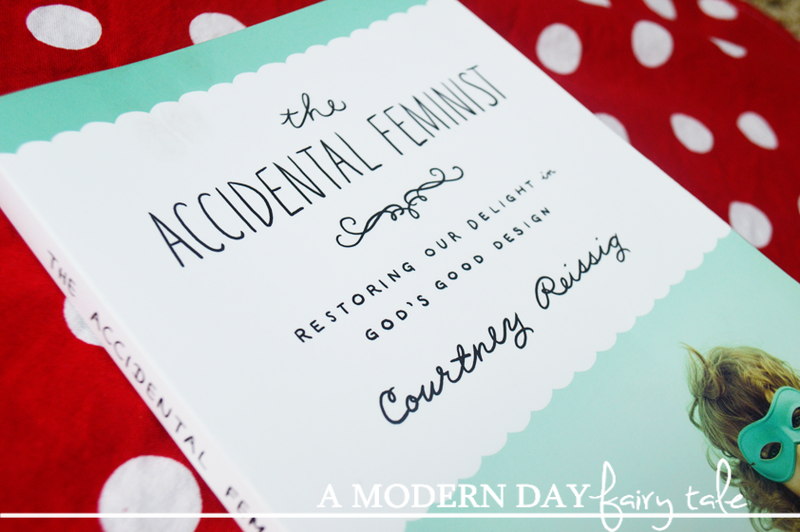 Combining personal narrative, practical examples, and biblical teaching, this book pushes back against both feminism and 1950's stereotypes related to gender roles in an effort to help Christians recover God's good design for women. I'm going to be honest- many of you will not like what this book has to say. It talks about our roles as women in the church, in the home and in the marriage. It talks about submission, it talks about the differences between men and women, it talks about modesty. It talks about all of those things that feminism has fought against. It discusses the good that has come from the feminist movement, but also the negatives. It challenges us to dig into scripture to find God's plans for us as women, and shows us how God created us uniquely different from our male counterparts... equal, but not the same. Personally, I found this book to be a fantastic read. Though I already found myself subscribing to many of these same ideas, I loved how Courtney looked at it from all sides, explaining things in a way that would make more sense of it to people who didn't live their lives in this manner. I particularly found this to be the case in the chapter about submission. This is quite the controversial topic, isn't it? You hear submissive and you think doormat. But that's not what a submissive marriage is all about. You can be strong, independent AND submissive. They are not mutually exclusive. Nor is abuse the same as submission. This is just one way that Courtney shares with us that being created differently as men and women is not a bad thing. It does not mean one is more or less. They are simply that-different. Whether you agree with everything written, this is truly a fascinating read and one I encourage you to check out. It might not change your stance on women's roles at all, and that's okay... but perhaps it will help you to understand how some women can choose to live this lifestyle and how its not everything the media would have us believe. I love the Willow Tree: Gracious. I love the Woman of Faith Mixing bowl! I like the things for the house. I like the Sadie Robertson notebooks and journals! A Mom After God's Own Heart" book looks good! Their homeschool section looks wonderful! This is then given into the care of the loan specialist. The appropriate response could be an online payday credit, and keeping in mind that the APR (yearly rate) for such advances is high, you just have it for not as much as a month after which it is forked over the required funds in a solitary installment. There has been an ascent in the quantity of individuals searching for approaches to address their monetary needs without the assistance of these budgetary organizations and new openings for work.